There are different types of SD card readers available in the market which are used for iPhone and iPads. These SD cards are used to extend the memory space of your device and allow you to see different large size files in your phone. There are also lightening SD cards which are used to transfer the media files between the camera and iPhone. It provides a lot of comfort and high speed of transferring media. That’s why it is getting popular, and you can also choose the best SD card readers for iPhone, iPad and Android in 2018. In below, you can see the complete details of top 6 SD card readers for iPhone and Android devices to transfer media files securely. YiKaiEniReader is an iReader which provides support for 128 GB SD card with a compact design. It comes with useful password unlocking and fingerprint unlocking features. You can quickly and speedily transfer media files and all types of data from SLR Camera and Trail Camera. 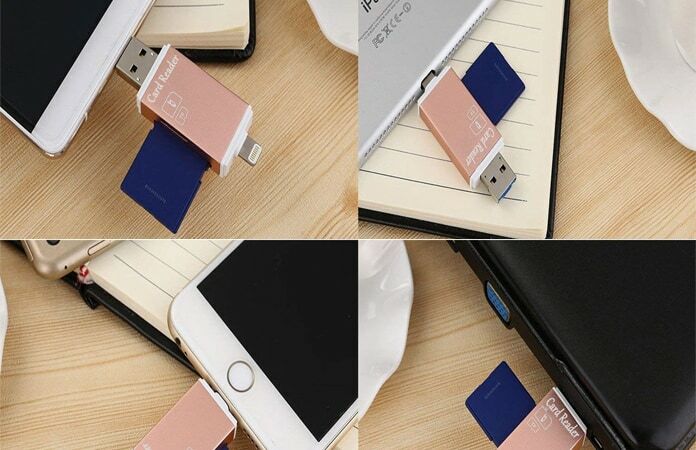 This card reader can fit all your devices. 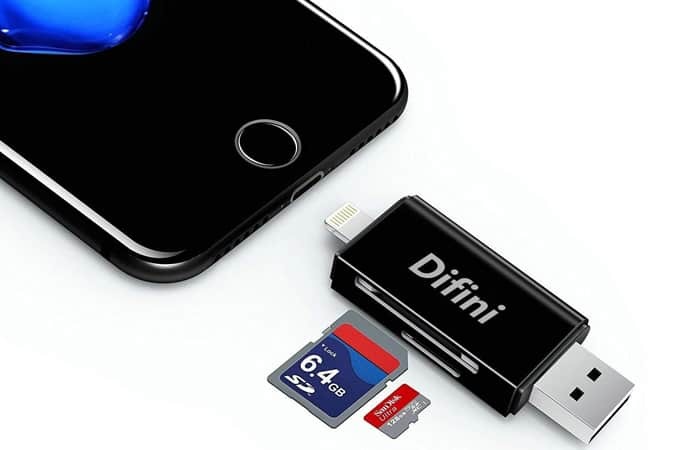 Difini has a lightning connector for iOS devices, Micro USB connector for Android devices and a USB connector for computers/Macs. 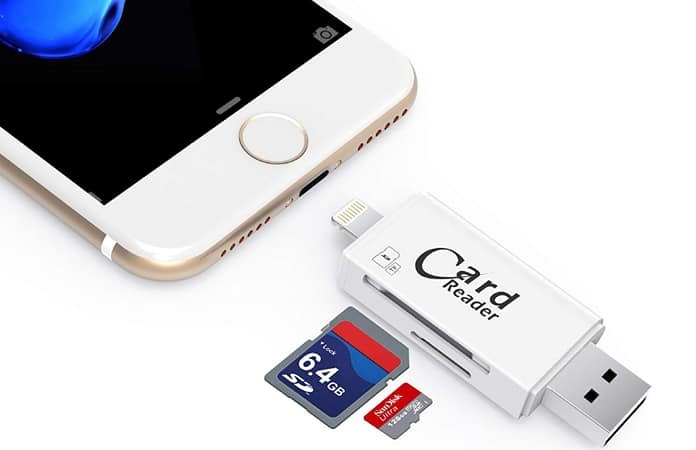 With this card reader, you can directly view your photos and movies using your SD and TF card without downloading them to the phone or computer. Difini card reader is easy to carry because it does not take much space. You can use it for travel and business trips. RAVPower Lightning to SD Card Reader is enough if you want to extend the capacity of your iPhone. This is a lightning card which allows you to transfer media files between your camera and iPhone. There is no distortion or corrupted transfer, and all of your data will be safely transferred. So, you can give it a try when you need quick transfers between two different devices. IMEEK SD TF Card Reader is a card which supports 128 GB space memory card. It consists of three different surfaces and allows you to connect it with three different devices. Its Lightning connector is used to connect with iPhone and iPad and its USB connector is used to connect with Windows/Macs systems. You can transfer images and all media between your camera and iPhone using this powerful card reader. You can this card reader to read the data at a speed of 20-27M/S and 11-20M/S. 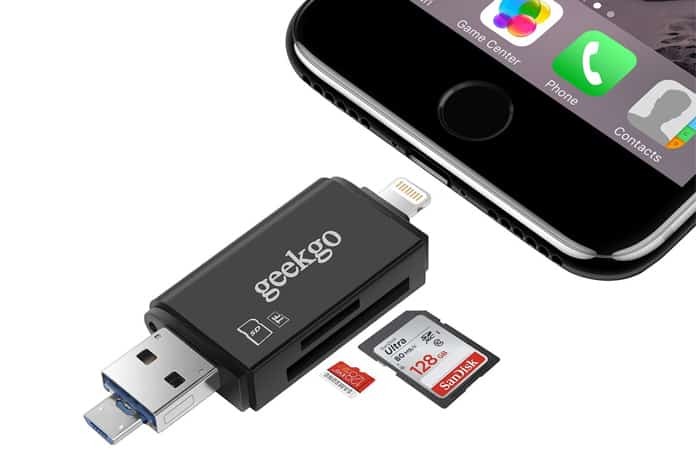 Geekgo SD card reader is a great lightning reader which is used to transfer the items to your iPhone, iPad or Android devices from your camera. 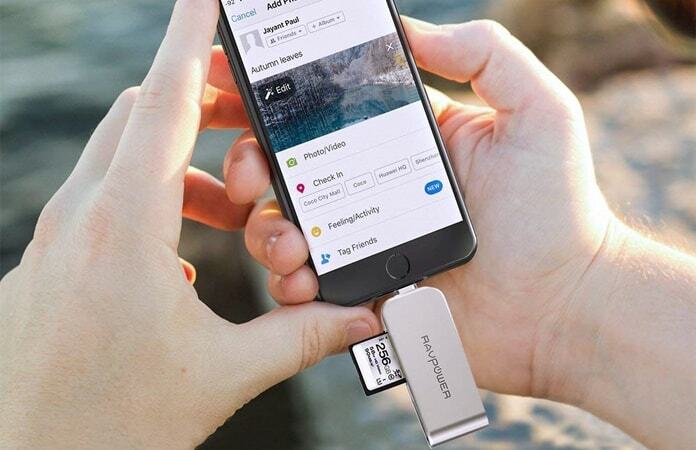 It works with a free file management app and has a portable lightning connector. You must use this reader if you want to synchronize files automatically on iPhone or Android in a secure manner. GEMASY Card Reader is a card reader which provides support for 128 GB card. There are different slots in this card reader which allows you to connect it with different devices including iPhone, and Android. 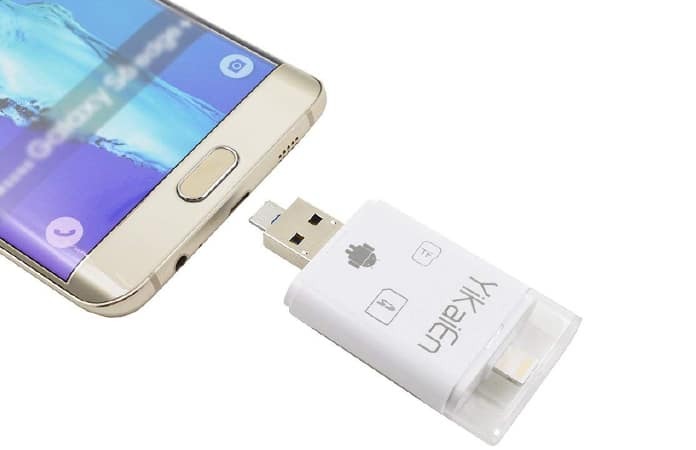 It lightning port connector is used to transfer media files from your camera to your iPhone or Android phones. Another thing about it is its unique design. Its design is compact and is preferred by many users. 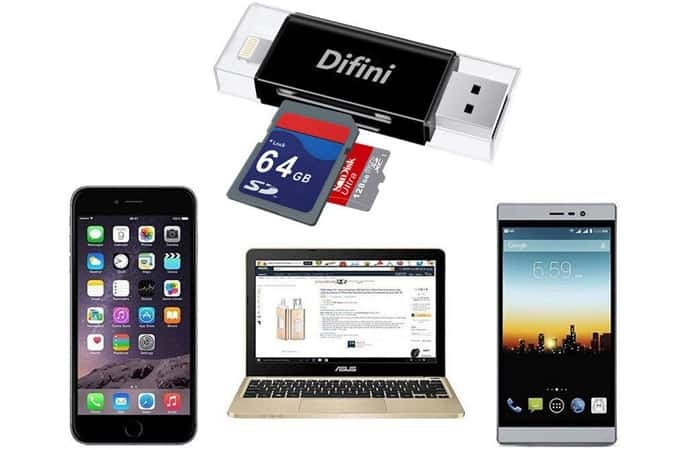 We hope that you liked our list of the best SD Card Readers for iPhone, iPad and Android devices. Don’t forget to like, share and leave your comment in the section below.